Say hello to the new Mrs Clooney! We don�t know about you but we fell in love with her style the minute she stepped out in the Prada Linea Rossa Brogues in early May, the high-powered lawyer certainly nails off-duty style for us! 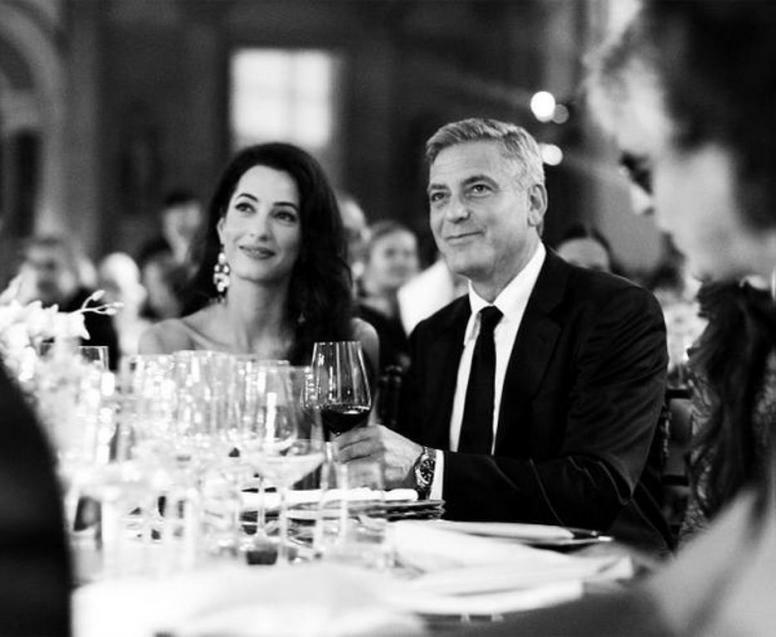 This weekend marked the wedding of Amal and the dishy George Clooney in Venice. Along with their four day celebration and the herds of A-listers that attended, the bride wore a delectable�Oscar De La Renta gown that we could only dream about. She was also seen �in the likes of �Stella McCartney, Dolce & Gabbana, Alexander McQueen and more! Arriving in Venice in a classic striped Dolce & Gabbana. Rehearsal dinner dreamy in Alexander McQueen. Stella McCartney appeared at the celebrations in the form of these killer high-waist trousers.